For the wedding planning bride looking to avoid the formal, traditional wedding, a rustic themed wedding may be a little more your style. People interpret rustic chic in many different ways, but for me it means natural, outdoors-y, and woods-y elements. Brides sometimes put a twist and go for country rustic chic by integrating hay barrels and cowboy boots. Adding touches of lace and antique china place settings will add a vintage vibe to your style. I love farm tables for so many reasons! The distressed natural wood vibe will bring the outdoors to your unique wedding reception in a flash. The best aspect of the farm table is the seating. How great is it to sit more in an intimate family style instead of traditional round wedding table! Your guests will actually be able to have conversation over the music. 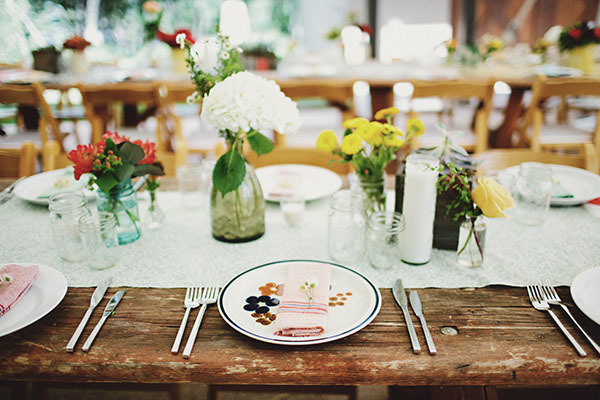 Renting farm tables can be an added expense that may not fit in your budget. To make it more cost effective, consider using farm tables just for the bridal party or the immediate family. Most brides don't consider that even the chairs at the guest tables can help bring the theme to life. 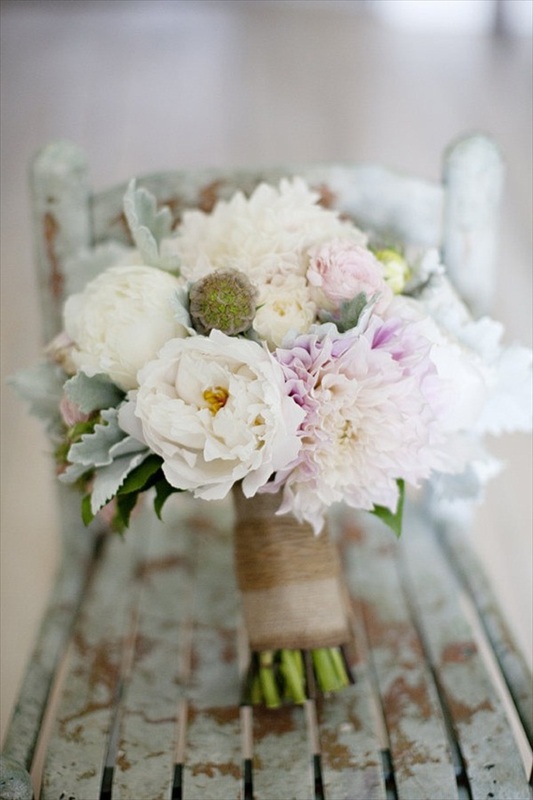 In order to bring together a rustic chic vibe, any kind of wooden chair helps to make an emphasis. My favorite style of wedding chairs are ladder back. You can't help but feel like you are sitting at someone's dining room table in these chairs. They really help to give an intimate, at home touch. Hanging décor looks great from the inside of a tented reception or without a tent to create a faux ceiling. Extra points if you incorporate twinkle lights inside any of these ideas! Moss is an extremely versatile wedding design idea. The possible ways to use it in your wedding planning are really only limited to your own imagination. An easy way to bring in moss details is to use it as part of your centerpieces. A cute way to integrate moss is as the flower girl basket. Bonus points for having a moss monogram! 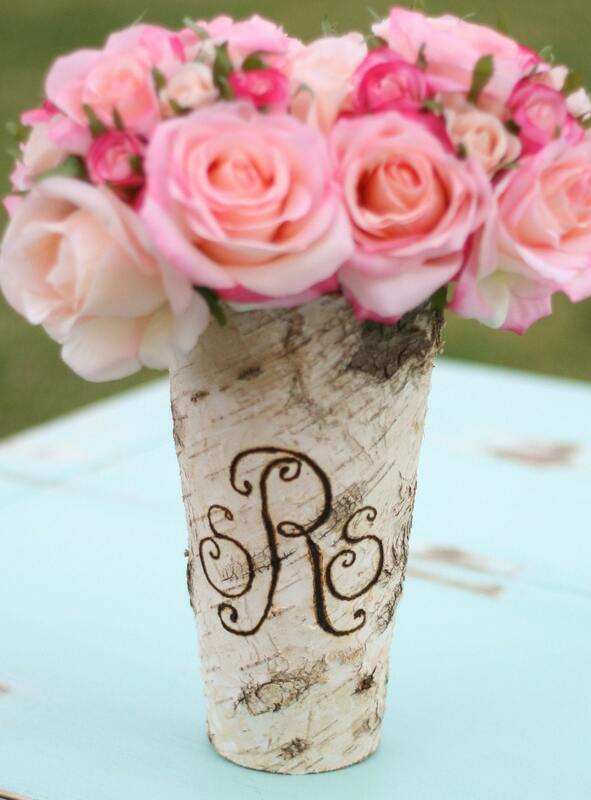 Wood slices not only are a great rustic touch, but they also make really great pedestals for important details. There are so many different types of branches that you can integrate into your design, but my two favorites are Manzanita and curly willow. 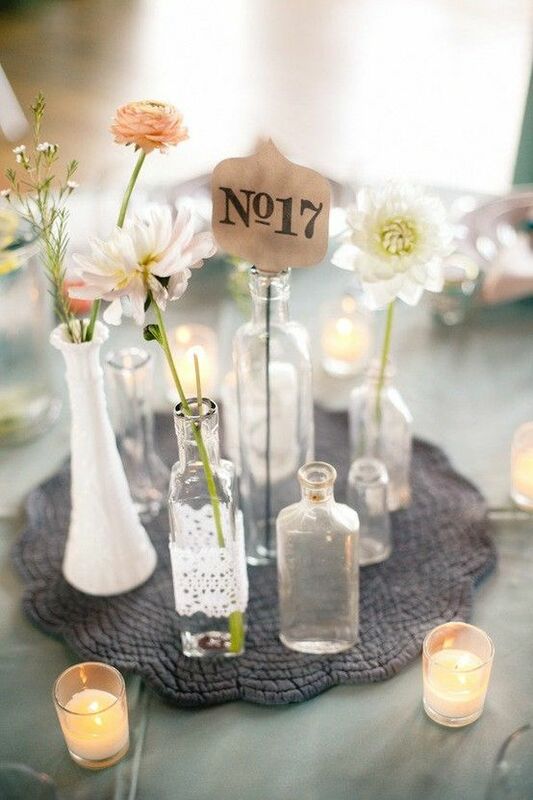 There are an endless amount of rustic chic wedding centerpiece ideas. Here are a few ideas to help you find inspiration: mismatched glassware, low arrangements, and birch wrapped vases. Even though simple flowers can easily go with this style, don't feel obligated to use flowers in your rustic chic centerpiece. Burlap can be integrated in so many aspects of your wedding design. It can be as little as the wrap around your bouquet to table runners to a full aisle runner. Whether you are integrating a rustic theme to a venue, in your backyard, or under a tent, integrating any of these wedding design ideas is sure to give you the perfect touch.